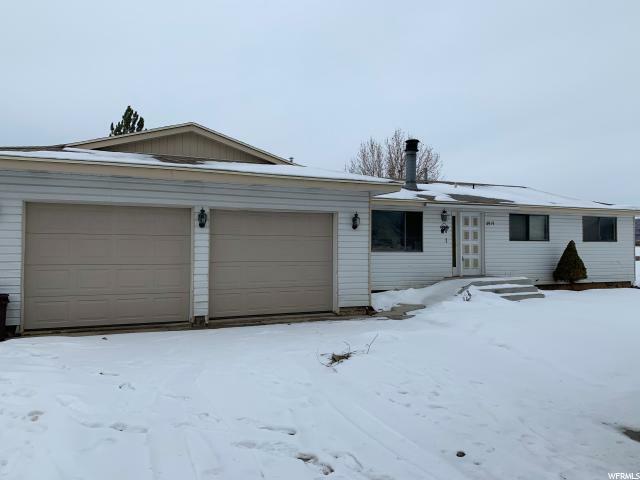 All Kamas homes currently listed for sale in Kamas as of 04/22/2019 are shown below. You can change the search criteria at any time by pressing the 'Change Search' button below. 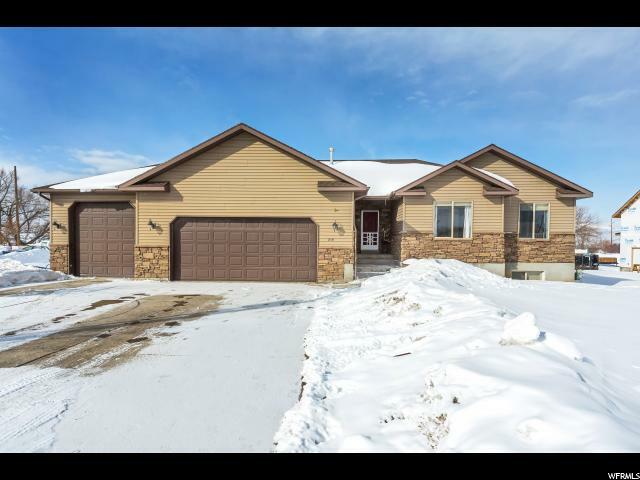 If you have any questions or you would like more information about any Kamas homes for sale or other Kamas real estate, please contact us and one of our knowledgeable Kamas REALTORS® would be pleased to assist you. "Screaming Eagle Ranch has all of the features and amenities that the serious equestrian enthusiast would expect from a fine western ranch. This one-of-a-kind property was thoughtfully designed with meticulous attention to detail by a top-notch horseman. 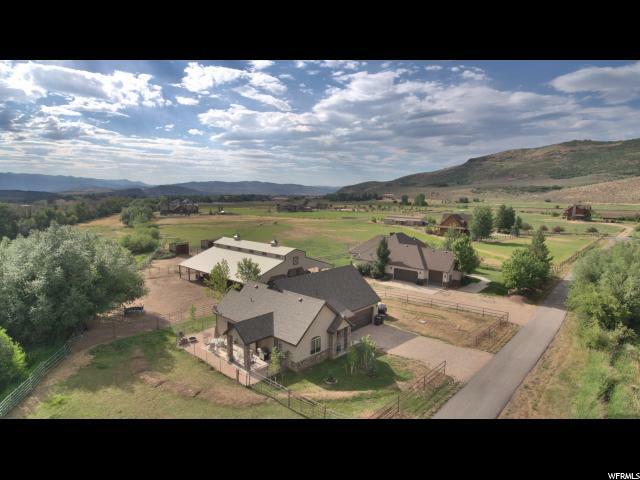 This equestrian enclave sits on approx 23 acres in the picturesque Kamas Valley with sweeping mountain and valley views. The spacious and tastefully-appointed residence is equally suited towards family living or sophisticated entertaining. The fully-insulated horse barn has 10 stalls with European stall fronts, tack, grain, and hay rooms, automatic/ heated waterers, separate 480 sf living quarters, and more. The 42000 sf indoor riding area is ideal for year-round riding with overhead heaters and a heated viewing room. For outdoor riding, there is a 300'x165' fully-lit arena. The 150'x75' storage barn has ample room for equipment, vehicles, hay storage. Numerous fenced pens, grazing pastures and a hay-producing pasture. You must see this property to fully appreciate the high-quality improvements. Enjoy the serenity of ranch life within 20 minutes of Park City's world-class resorts and 45 minutes from the SLC airport. Screaming Eagle Ranch is a legacy property for today and generations to come." "Exquisitely detailed contemporary home enjoys secluded 1.3 acre site on Mark O'Meara designed Tuhaye Golf Course. Open floor plan for entertaining provides 5600 feet of living space on the main level. Sliding glass doors open wide to tiered stone patios, multiple sitting areas and two large fire pits. Natural rock formations and mature Gambel Oaks provide privacy and frame golf course and mountain vistas. Clean architectural features keep walls uncluttered to showcase art in a gallery-like setting. Main floor master suite is separated from the social areas of the home by a library. Amenities include separate dressing rooms, water closets, large double shower, tub as well as laundry facilities. The two main floor guest suites are generously proportioned and offer direct access to private patios. Alone on the second level of the home is a study/guest suite with fireplace and south facing sun deck with sweeping mountain views. Home featured in Western Art and Architecture Magazine. " 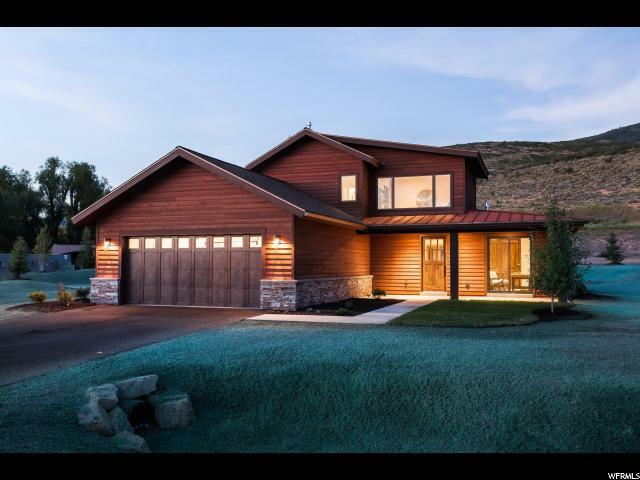 "Come home to this stunning home with sweeping views of Deer Valley, Timpanogos and the Wasatch Range. Floor to ceiling windows bring the outdoors in, while R30 glass keeps the elements out. Enjoy golf course views as well as the Kamas Valley. So many special features, from reclaimed Oak Planking, to the custom Cottonwood kitchen, to custom tile work and lighting throughout and so much more. The 4th bedroom is a bunk room that can sleep six children. Agent has full list of special features. Enjoy the Talisker club with all of it's benefits; Mark O'Meara golf course, Tower Club, fitness room and pool, new Club House, clay tennis courts and more. Plan on extra time when viewing this home as it is hard to walk away from the views as well as the extraordinary level of finishes. Seller will contribute $100,000 towards buyers purchase of Talisker membership." 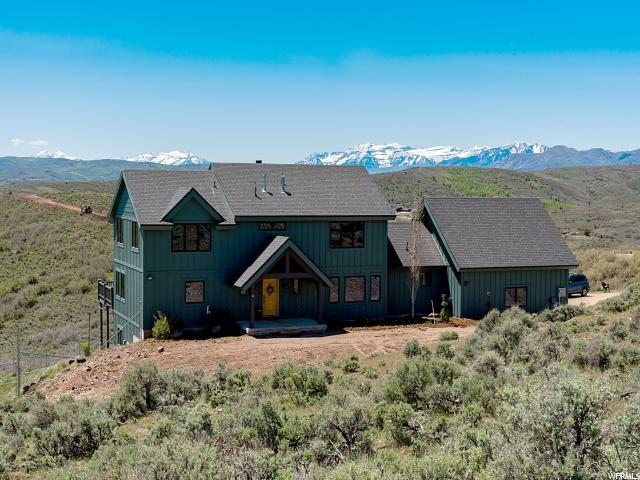 "Quiet seclusion in the heart of the Kamas Valley. 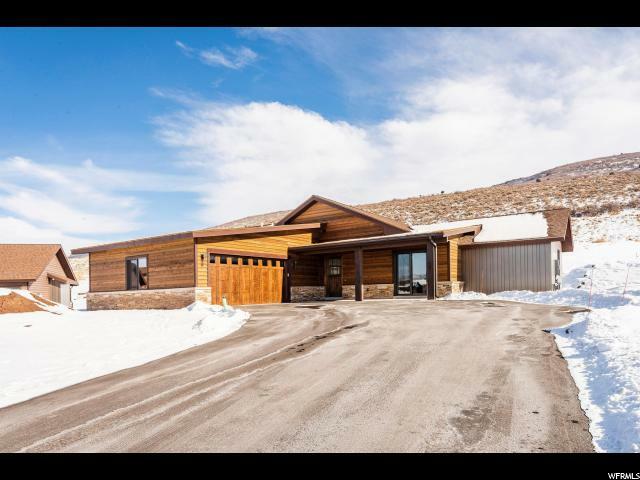 This legacy family estate boasts 360 degree valley and mountain views, including Mount Timpanogos and Deer Valley Ski Resort. With over 6 acres of property the possibilities are endless on what you can do. The open floorpan is perfect for family and entertaining. Entering in from the heated driveway this home features a grand entryway with vaulted ceilings, custom lighting, beautiful wood floors, and amazing natural light that invites you into the kitchen with custom cabinets, two Bosch dishwashers, and large Viking Range and double oven. The gorgeous master suite has large walk in closet with stackable wash and dryer, large on suite bath, and the most amazing views to wake up to every morning. Large mud room is perfect for cleaning up when finished playing outside with additional laundry room. As you go down to the basement large windows make you feel as though you are on the main floor with the same amazing views. Same open floor plan and high ceilings make it a welcome place to hang out and entertain. Mother in law apartment with large master suite and private laundry, has its own private entrance and can stand alone but also flows well into the rest of the home. Enjoy working out year round in your private gym attached to your indoor 50' x 30' Basketball and Pickle-Ball Court. 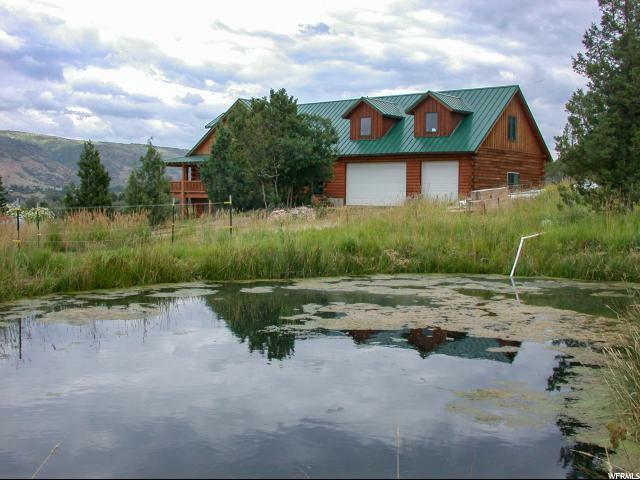 Enjoy all the recreation you could ask for in the Uinta Mountains directly east of your new home. Don't miss this opportunity to make this amazing property your new home. " 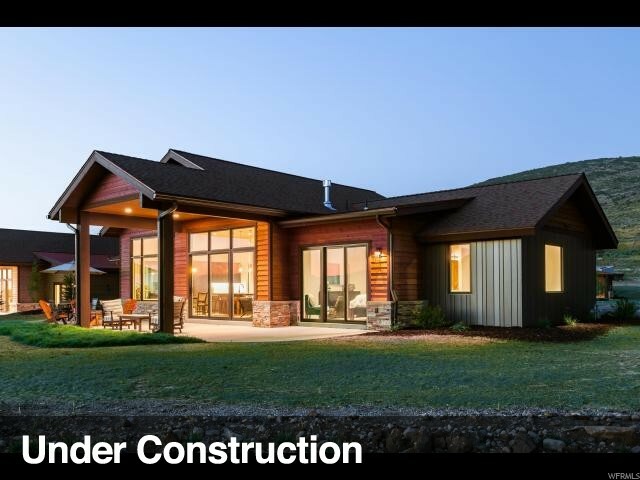 "This 4 bedroom, 4-1/2 bath mountain contemporary home has a modern interior and clean lines. The Italian kitchen contains bleached Canaletto walnut cabinetry w/rich pinot glass, Calcutta marble countertops w/ Gaggenau, Smeg and Miele appliances. Butler's pantry has an additional dishwasher, oven & herb garden. Laundry room contains a double set of front load washer/dryers. Custom White Oak cabinetry throughout, along w/ custom concrete wall treatments, treated cedar exterior wall siding, Corten metal siding, hand gathered stone siding, standing seam roof, Oregon interior kerfed doors, a radon gas mitigation system, trimless detailing around doors, windows, lighting fixtures and a floor reveal. Commercially engineered with monolithic construction methods w/raw embedded steel. Garage & bike storage are separate, w/garage at 925 sf & bike/ski stg. 68 sf. Other amenities such as pool, tennis courts, fitness room, etc. available with the separate purchase of a Talisker Club membership. " "Custom homes always seem to have a higher level of finish & attention to detail as they're built with thought & care, you'll find that this home is a perfect example of that. Beautifully finished with Brazilian Cherry hardwood floors, vaulted ceilings & large windows to capture the views & natural light. The open floor plan is designed with entertaining & ease of living in mind. You'll love sitting on the deck in front of the outdoor fire as the sun goes down over the Jordanelle reservoir, Deer Valley and the Wasatch Back. 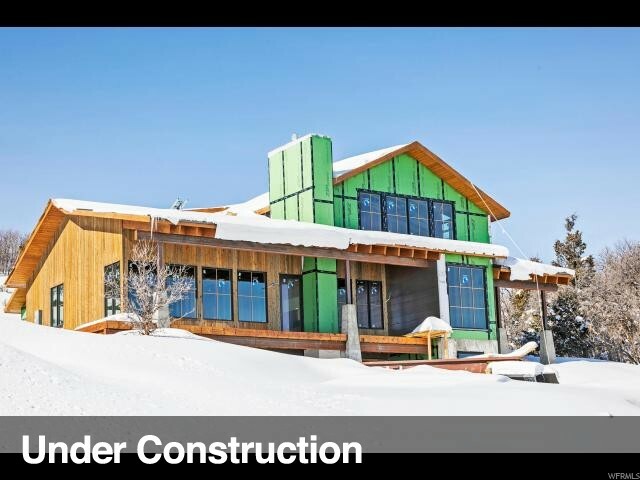 The location allows for easy access to world class skiing, fine dining, shopping, outdoor recreation & is only 40 mins to the SLC Intl Airport." "River House! Did I mention it is on the river? This is your last great opportunity to catch an impossible to replicate home on the Weber river. Wake up to the sight, and sound, of the river as it curls around this Weber Canyon home. Unbelievably, the house sits just 25' off the water. Built in 2010, you will not find a newer home with this location. Fully automated electronics and entertainment systems. Two spectacular garages heated, water, water & sump drains, lights, vacuums 3 car attached and an oversized detached big enough for a 4-wheeler AND 4 cars, or your Rockstar bus (literally 57x18). Duel heating system with radiant and forced air heat, as well as central air to keep the house perfect in the summer. " 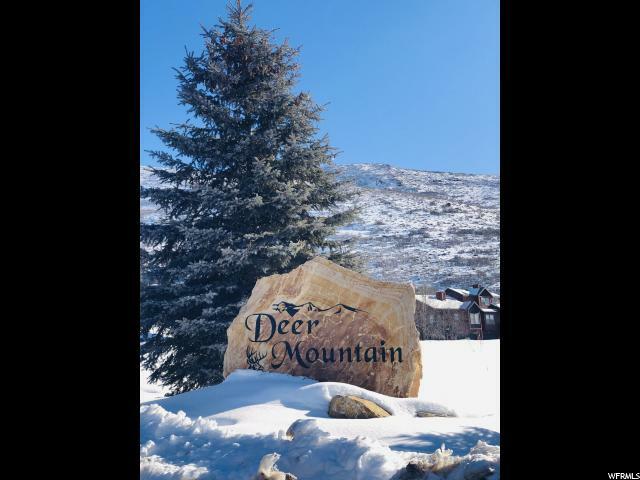 "Located just 10 minutes from Main Street, Park City and less than 10 min to the Deer Valley Gondola! This gorgeous ranch style home features a highly upgraded kitchen complete with Wolf Range, Sub Zero Fridge and all the stylings of gourmet kitchen. It's completely furnished, turnkey and set up to entertain family and guests this ski season! Home has never been rented but does allow for nightly rentals! All bedroom are ensuite with plenty of room and space for guests. Hardwood flooring, custom tile and mountain modern finishes are just a few of the luxury details. Elaborate wine room with shelving complete and tasting area. Spacious 904 sq ft 3 Car Garage with a 10' door and double deep bay fits all the toys! Garage floor is complete with epoxy and built in shelving and storage. Exterior landscaping features a beautifully paved patio with hot tub. One of 10 SF homes at the Retreat." 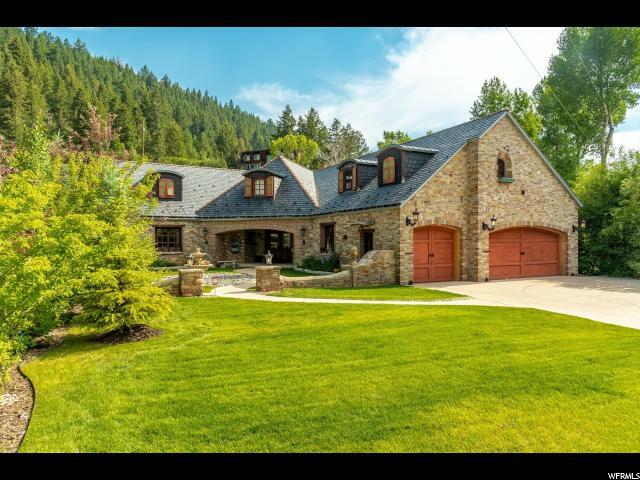 "Kamas Valley's equestrian, Elk Meadows, this custom home offers guest house, horse barn & corrals, 4 plus acres with mountain views, a single level main house with vaulted ceilings, den, luxury baths, wood floors, updated kitchen. Large Guest house." 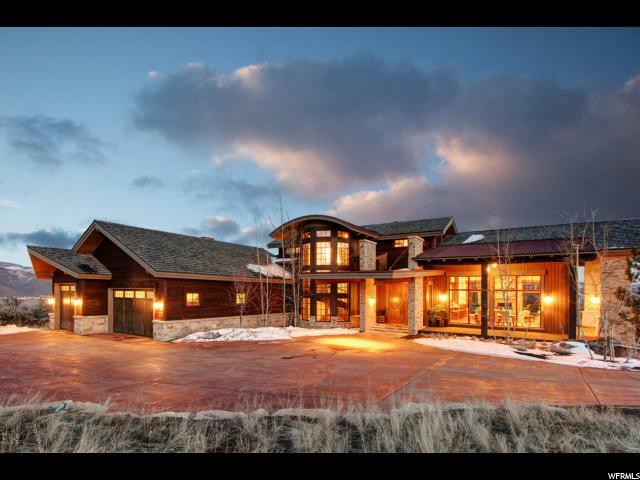 "Perfected positioned within one of the most beautiful view corridors in Utah, this beautiful home is as remarkable as its' setting. A thoughtful design artfully unites location, pastoral views and craftmanship in this ideal retreat. Located just above the small quaint farming and ranching town of Kamas, Utah but within 10 minutes of Park City which offers world class dining, shopping on historic Main Street and world class skiing at the resorts in Park City and Deer Valley. Carefully planned architectural elements have been incorporated to create a functional comfortable living area. Spectacular views are framed within windows in every direction. High end finishes throughout complement the casual and rich simplicity of rural living. This home is over 4500 square feet, offers 4 bedrooms, 4 baths, Gourmet chefs kitchen with Wolf 6 burner and griddle feature stove, warming drawers, cooling drawers, Sub Zero, prep sink, custom cherry cabinetry, and beautiful slab granite. Main Floor living adds to the convenience with a main floor master suite, walk in pantry, main floor laundry with jetted sink for hand washing, semi-formal dining room and a Great room which opens through French doors onto the captivating views from the deck. Lower level offers additional family room which is wired for theatre, game room, flex room-an ideal space for dark room, brewing, or crafts. There is also a dedicated fitness room. The rolling hills acreage creates a place ideal for livestock, dog training or breeding. With these amenities and acreage, this is truly one of the nicest homes in Summit County at this price. Do not miss your chance for your home on the range. " "Thorn Creek is High Star Ranch's premier, new, subdivision presenting thoughtfully designed homes by Rick Brighton. Thorn Creek borders open space, the trail system, and Thorn Creek, allowing for spectacular views of the Wasatch Mountains, Deer Valley, and Mt. Timpanogas. Constructed by Joe Kennedy, these open-concept floor plans boast main level living, en-suite bedrooms, an entertainer's kitchen and great room featuring interior finishes by Barclay Butera. Exterior features include covered deck space, oversized garages, and optional fire pit. High Star Ranch is a 1200+ acre ranch community with over 80% open space with an extensive trail system, pond, and equestrian facilities. High Star Ranch offers activities for everyone, and our onsite Outfitter can arrange all of your adventures. Amenities include over 16 miles of single track mountain biking/hiking trails currently, State Rd. Tavern, and DeJoria Event Center. Pool and clubhouse with fitness center coming soon!" "Escaping the busy world but not the modern amenities of life. You know every time you step into your home you will feel the peace of being away from everything else. High vaulted ceilings and large windows in every direction ensures the best views and natural light filling your home throughout the day. Whether you're in the living room, the loft, or one of the 4 bedrooms, you have a perfect lay out for life with spacious room for all. Step into your backyard for endless trails to explore and enjoy getting lost in the world away from everything else. " 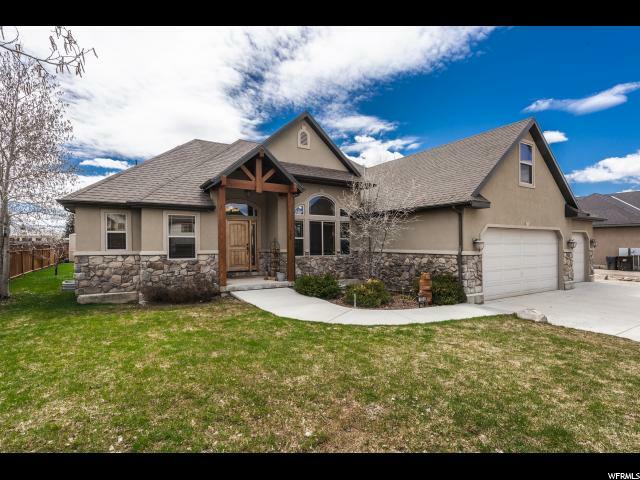 "Large, beautifully built home in a unique gated community close to the Provo River. Home is mostly finished but with work still needed in the basement & loft. Great app for someone to finish up the work & have themselves a wonderful home at an amazing price, or turnaround for a substantial profit. There is also an equipped barn that needs finishing & a pond that's been used for irrigation. Buyer to verify all information. Subject to buyer's inspection. Seller makes no warranties to condition. Sold as is. Vacant and ready to show on February 18th, 2019"
"VIEWS.VIEWS.VIEWS. 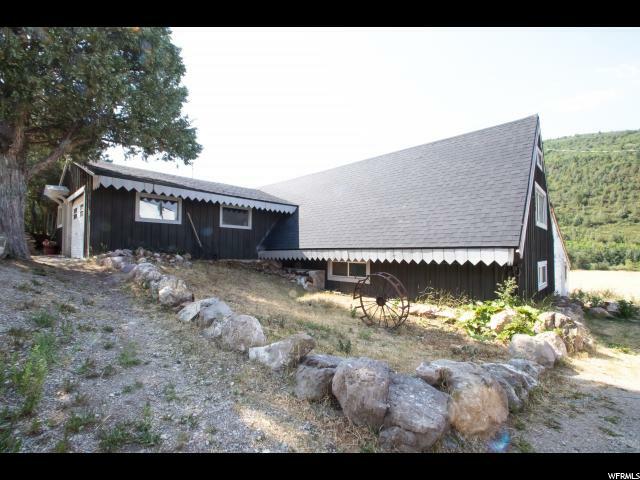 Seller's loved the mountain lifestyle, enjoying all seasons with skiing, golf, hiking, biking, boating and fishing nearby. The light filled open space floor plan makes living pleasurable with spectacular unobstructed views including an unforgettable view from the inviting kitchen with space for casual and formal dining. The main level master suite is big enough for a sitting area and has a large deck for relaxing before bed, breathing clean mountain air and gazing at stars that actually can be seen. The lucky guest or family member has the same views of Deer Valley Resort and the blue reservoir with their own deck on the lower level. Entertaining family or friends is easy with the huge family room with fireplace, wet bar, deck and opportunity for hot tub on an additional patio. No more renting storage areas with an extra large area for storage or it could be converted into a theater room. Home has new carpet. 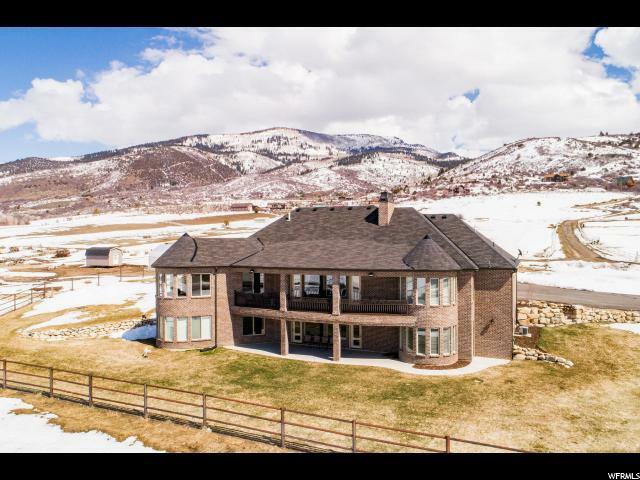 With easy access to airport and minutes to Park City, this home is priced to sell with natures beauty from every window. " "Most popular Arcadia floor plan at The Retreat at Jordanelle now available. 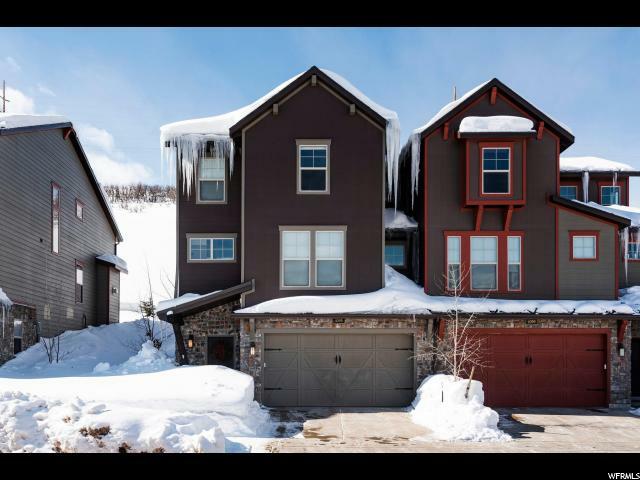 With three World Class Ski Resorts only a short drive away, this luxury townhome is perfect for year round residents, as a second home, or an investment property for nightly rentals. This uphill townhome on Abigail Drive backs to open space allowing for privacy and tranquil relaxation on the back patio. The main level features an open living area with hardwood floors, vaulted ceilings, expansive windows to allow natural light, kitchen with granite counters, stainless appliances, and a center island with sink. The master bedroom completes the main level. There is a second master bedroom on the upper level along with a secondary bedroom.The Retreat at Jordanelle community includes a clubhouse with pool, hot tub, theatre room, gym space, and easy access to hiking and biking trails. Live the luxury lifestyle at a great price and reasonable HOA fees with amenities. Nightly rentals are allowed in the community. " "Enjoy the full benefits of Park City living without Park City pricing. 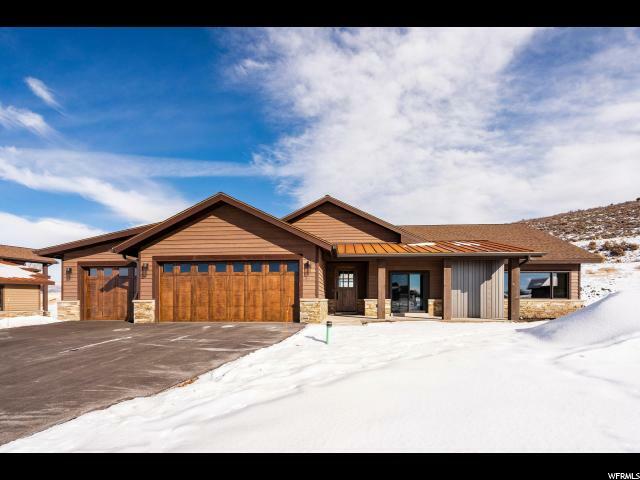 Located right outside of Kamas at the gateway to the Uinta Mountain Range and central to 2 world class ski resorts. This 5 bedroom 4 bathroom home is nothing shy of a gem. With access to endless hiking and mountain biking trails, fly fishing on the Provo River and boating in Jordanelle Reservoir; your family and guests will have ample outdoor entertainment to suffice. 20 minutes will take you to Park City, 40 minutes will take you to Downtown Salt lake or anywhere in the world through SLC International Airport. 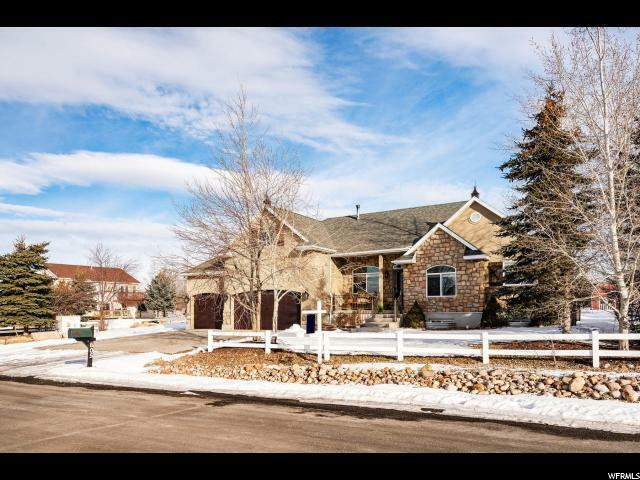 Situated on a flat lot surrounded by beautiful Kamas views. Perfect if you are looking for a larger home and utilize all 7 rooms to yourself or live comfortably in the the 3 bedrooms upstairs with the potential to rent the 2 bedrooms downstairs with walk out basement access. Must see and Must Sell!" "Close access to the rec center & schools. Single level living, w/radiant heat floors. Bonus theater room above the garage. Low solar electric bills. Solar electricity is included with the home at no cost. Solar is currently financed but would be paid off at time of purchase. 1450 sf additional garage/workshop with furnace. All information is deemed reliable but not guaranteed. Square footage figures are provided as a courtesy estimate only, buyer is advised to obtain an independent measurement." "What if your commute home was along Mirror Lake Scenic Byway, your property had the Beaver Creek running through it, and the potential was nearly endless. This is a possibility, within an hour of Salt Lake International Airport and a brief 20 minute drive to Park City. This is a rarely available opportunity to own a 4.85 acre lot along Mirror Lake Highway in Kamas Utah. From this property you are able to access National Forest land via a short drive or walk through the neighboring community. A very unique home and detached building both of which have newly replaced roofs. There is an immense potential here with someone wanting to complete the remodel. Alternatively this could be the ideal location for your future dream home, with property like this rarely coming available. Properties are being sold as is. Square footage is taken from county records. There is a dug out basement with potential in the primary home and the second building provides potential for additional square footage that is not included in listing square footage, buyer/buyer's agent to verify. " "Back on Market!! Amazing rambler in perfect location! This home has plenty of room and all the right features! Large yard to enjoy as well as over-sized 3rd car garage. 2 jetted tubs and fireplace will keep you cozy and relaxed. In case that isn't enough there is also a steam shower and theater room. Cabinets just refinished and new flooring put it! This home has been well cared for and is ready for its new owners! Close to schools, aquatic center and downtown!" "Family inherited the house and land. There are 5 Water Shares that can be purchased with the house at $1000 a share( Total $5000). House needs some interior and exterior care. 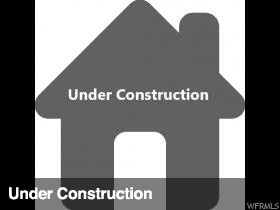 Seller was considering remodeling the house but has decided to let the new owner make their own remodeling decisions. There are an additional 12.23 acres for sell with 22 Water Shares (MLS# 1564510). Total of 16.23 acres and 27 Water Shares, if interested in adding more land to the house."